Fill in your details below and we will let you know within 24 hours if we can get Phoenix Syndicate to you with haste! Legend tells of the daring exploits and relentless greed of The Phoenix Syndicate, which rose to power and created a galactic regime - but the old order has lost its fire and become bogged down with the affairs of the masses. It is time for a new syndicate to rise from the ashes of the old...and make a tidy profit along the way. 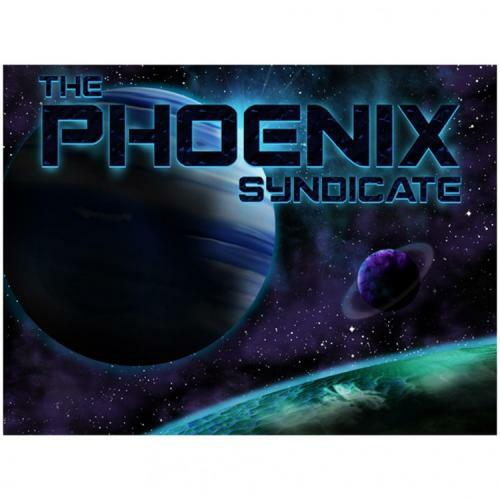 The Phoenix Syndicate is a game about building a network of agents on planets spread across the galaxy. Every time you play, a new galaxy is created by randomly arranging the galactic hexes. You will claim contracts over the course of play, each specifying planets you may want to bring into your network. The better you can fulfill these contracts, the more lucrative the deal is and the more credits you will gain. Connecting planets to your network will require resources, which, of course, you "acquire" from the planets where you already have agents.